Earlier this year, Natural Product Reports was delighted to announce that Professor Mohammad R. “Mo” Seyedsayamdost was chosen by the Natural Product Reports Editorial Board to receive the 2019 Natural Product Reports Emerging Investigator Lectureship, which he has now been awarded at the recent ACS Orlando symposium. Mo obtained an undergraduate degree from Brandeis University and completed his thesis in the laboratory of Prof. Lizbeth Hedstrom. He then joined the Department of Chemistry at MIT and earned a PhD degree under the guidance of Prof. JoAnne Stubbe. 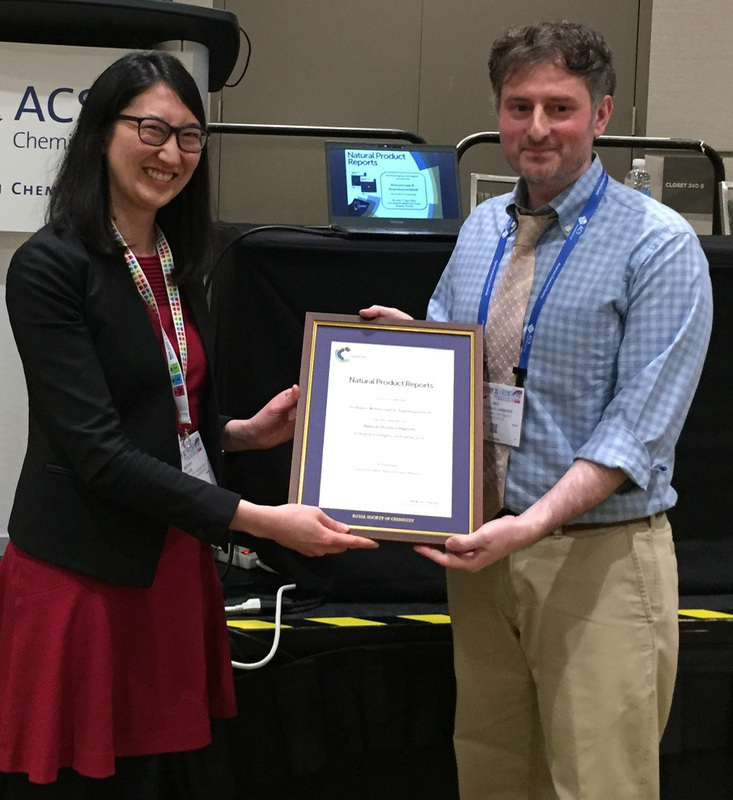 His PhD thesis investigated the mechanism of long-range radical transfer in class I ribonucleotide reductases. 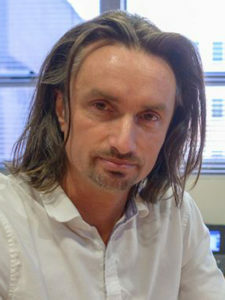 He subsequently conducted postdoctoral training at Harvard Medical School in the research groups of Prof. Jon Clardy and Prof. Roberto Kolter, where he examined the roles of natural products in mediating microbial interspecies interactions. In 2013, Mo started his independent career at Princeton University, where his lab is interested in the discovery, structure, function, and biosynthesis of natural products from microbial sources, with an emphasis on bioactive cryptic metabolites. These studies blend approaches from microbiology, bacterial genetics, natural product chemistry, and enzymology. 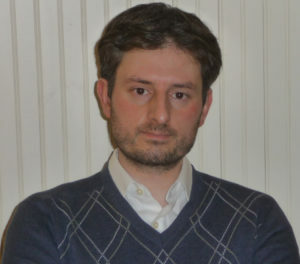 It is with great pleasure that we announce Prof. Mohammad R. “Mo” Seyedsayamdost (Princeton University) as the recipient of the 2019 Natural Product Reports Emerging Investigator Lectureship! 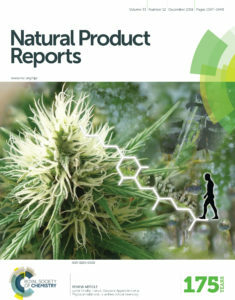 We are proud to announce that Natural Product Reports is sponsoring Applied Natural Products symposium. The symposium runs from 11th – 13th June 2018 and is being held at École polytechnique, Palaiseau, France. The focus of the symposium is around the themes of biosynthesis, total synthesis, metabolomics, isolation and analysis, medicinal chemistry and chemical biology. A full list of speakers are available online. Registration is free and the deadline is 15th May 2018. We are delighted to welcome two new Editorial Board Members to Natural Product Reports. Professor Hendrik Luesch (University of Florida, USA) and Dr Marnix Medema (Wageningen University, Netherlands). Professor Hendrik Luesch leads a multidisciplinary marine natural products research program that integrates isolation, synthesis, pharmacology, mechanism of action and early development studies. Find out more on his lab’s webpage. 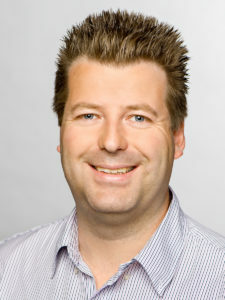 Hendrik obtained his PhD at University of Hawaii with Richard E. Moore in 2002. He undertook three years of postdoctoral studies as an Irving S. Sigal Fellow at The Scripps Research Institute with Peter G. Schultz. 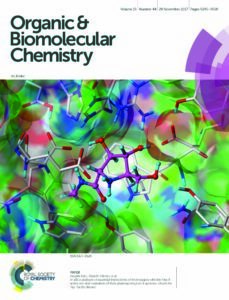 Since 2005 he has been faculty at the University of Florida (UF) and is currently Professor and Chair of the Department of Medicinal Chemistry. 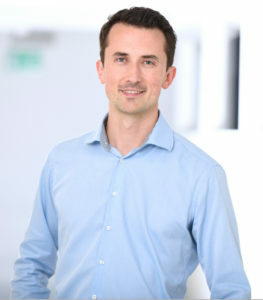 Dr Marnix Medema’s group currently develops and applies computational tools to understand bacterial, fungal and plant natural product biosynthesis from a genomic perspective. Find out more on his webpage. Marnix completed his PhD in 2013 in the groups of Eriko Takano and Rainer Breitling at the University of Groningen. 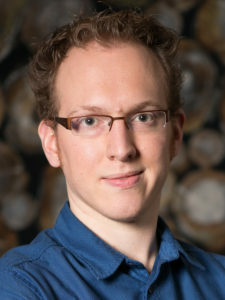 In 2015, following a postdoctoral fellowship in the group of Frank Oliver Glöckner (Max Planck Institute for Marine Microbiology in Bremen, Germany), he joined Wageningen University. 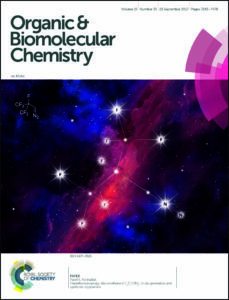 Organic & Biomolecular Chemistry , our sister journal, publishes many articles that cover a variety of natural product chemistry.